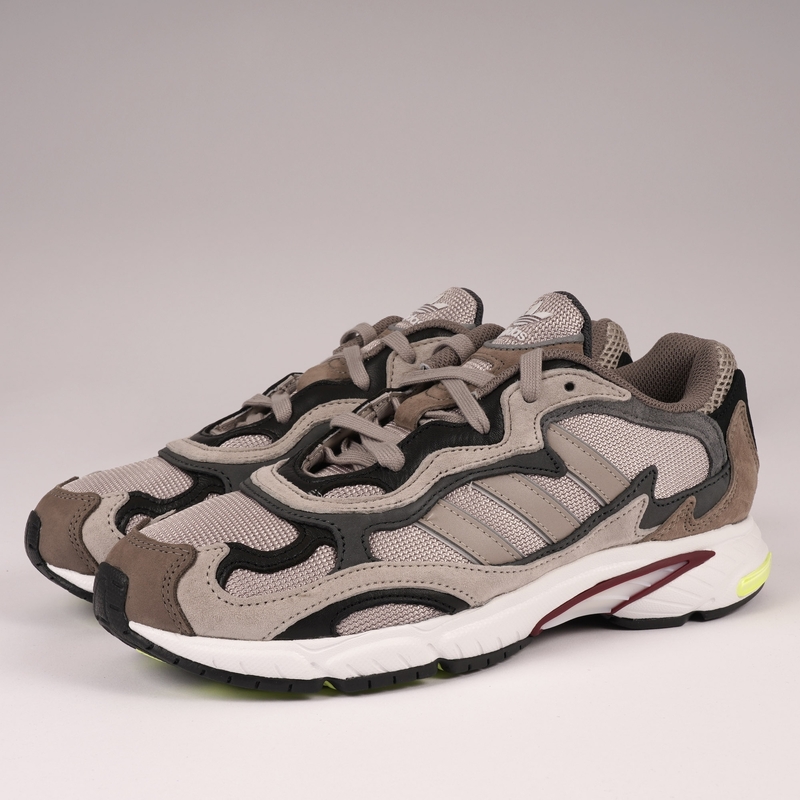 At standout note from this season's adidas Originals collection the Temper Run pays homage to the 90's running silhouettes with a design that brings back technical style. Similar in aesthetic to the Yung-1 with a Chunky shape this Beige, Grey Six and Core Black iteration boats and upper that combines mesh with an array of tonal suede and leather overlays. Textile lined and sitting upon a sculpted lightweight EVA midsole tonal Trefoil branding adorns the tongue whilst 3 stripes details round off the model at both sidewalls.